That is perfectly fine. Glad you enjoyed it! I’ve really loved reading your posts. I have a few questions on this subject. 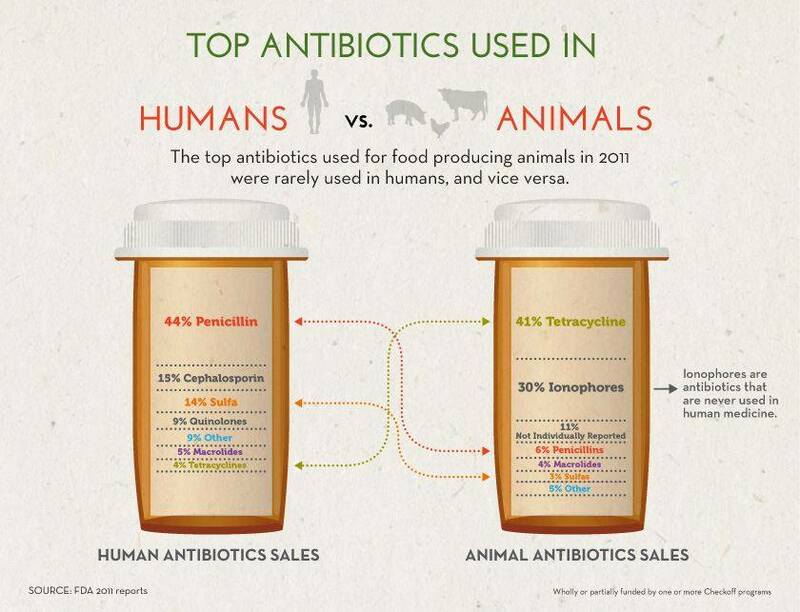 You say that the antibiotics given to cattle aren’t ones commonly prescribed to humans. While that may not contribute to super bugs, it isn’t healthy to consume an antibiotic unnecessarily. Even if there is a recommended waiting period for letting an antibiotic exit an animal’s system, would you disagree that some of these hormones could get into our system, and that it is undesirable to have that antibiotic in our system when we aren’t sick? In relation to the hormones, is it possible for us to reach a point where we will no longer need to use hormones? I read your post on the changes in chicken size since the 1950s where you said that all the increased growth has come from genetic breeding, since hormone use is banned in the poultry industry. Is it possible that there will be cattle in the future that, through genetic breeding, can eliminate the need for hormone treatments? 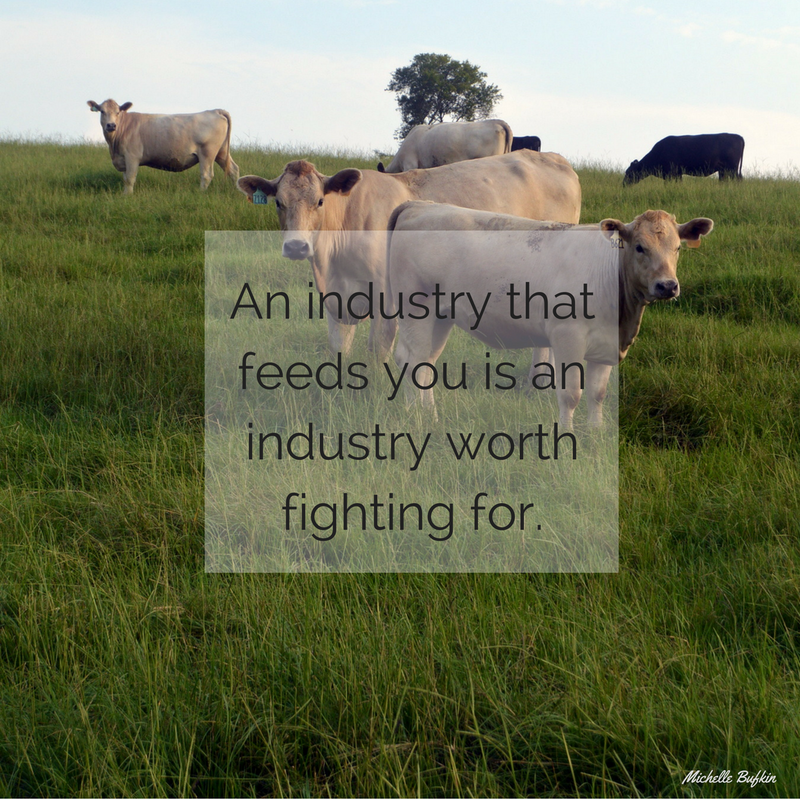 I disagree that antibiotics used in beef cattle could get into our bodies. The reason the waiting times are there are because research has been done to see how long antibiotics stay in a system and they make the waiting periods a few days longer. Also it is on record that the animal had antibiotics so the FDA can test for it, and if any residue is found they will deem that animal not for human consumption. So while it is undesirable to have antibiotics in our system when we aren’t sick, it will not happen from eating beef given antibiotics. As for your second question: I would love to think that technology will help make hormones obsolete. But selective breeding is more difficult with cattle because different breeds want different things: some want marbling, others want carcass weight, and it goes on and on. With chickens they just want bigger chickens, so it is easy to select for that. I do believe that it is very possible for technology to increase and make cattle more feed efficient so growth hormones are not necessary, or to make the food more effective. Thank you for two very insightful questions, hope I helped answer them! Are you aware that Monsanto patented glyphosate as an antibiotic? It is in EVERYTHING that we eat….just “food for thought”. ..might want to read “America’s Two-Headed Pig”.